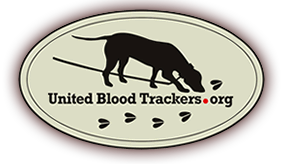 Missouri- The activity of using tracking dogs to trail wounded game is not allowed by regulations. However, it is allowed (with restrictions) administratively. Contacting the local conservation agent is required. The agent may grant permission to use a leashed tracking dog. All aspects of such activity are under the strict oversight of the local agent. The agent may allow the restricted use of these dogs at night. Administratively, the state of Missouri does not allow firearms to be carried at night while tracking. The tracker must be properly licensed for the game being perused. The hunter who wounded the deer must be present to immediately tag the animal after it has been reduced to possession.